I love love love preparing things. I love pre-planning my menus and writing down my grocery lists. 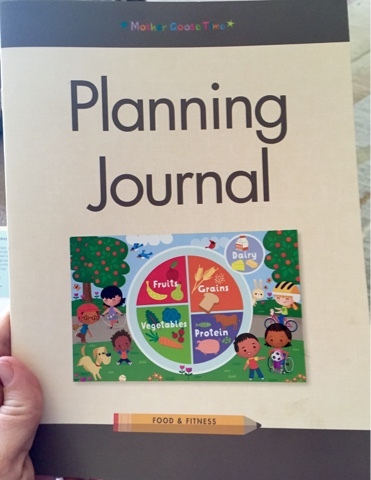 I have a fitness/weight loss journal in which I prepare for my day and write down what I plan on eating and what exercise I want to do. Currently my new desk is in disarray because I'm preparing it to be my little workstation where I will read my One Year Bible, my devotional, make my lists, lesson plan, and eventually I'll start working with my husband in his insurance business. I am a planning fool. 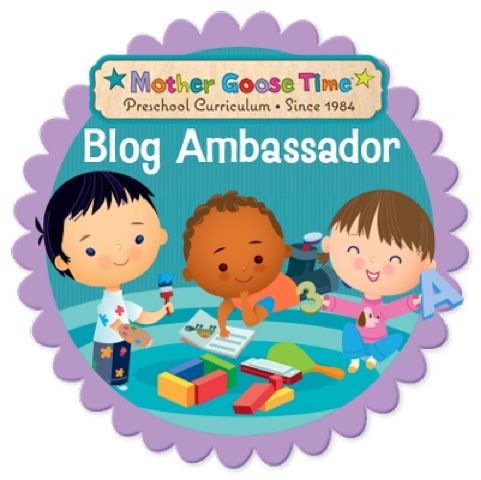 So with all of this love of preparation, why on earth have I never done much prep with Mother Goose Time (MGT)?! The answer is that I purposely wanted our lessons to really depend on how Tiny B was doing with her health and with her food intake. I wanted to just go with the flow and follow her lead, as well as Strong B's lead. And I can honestly say that it has worked out fabulously! 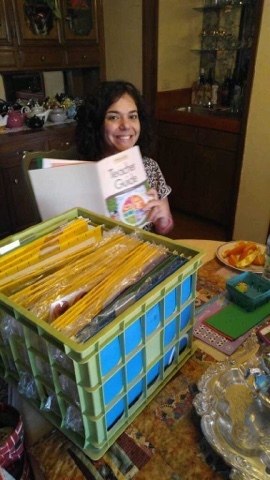 I'm thrilled with how much the curriculum has been able to truly follow them in their needs, and that's a HUGE part of why I'm homeschooling now and why I will continue to homeschool as long as there is a need/I am able to do it. 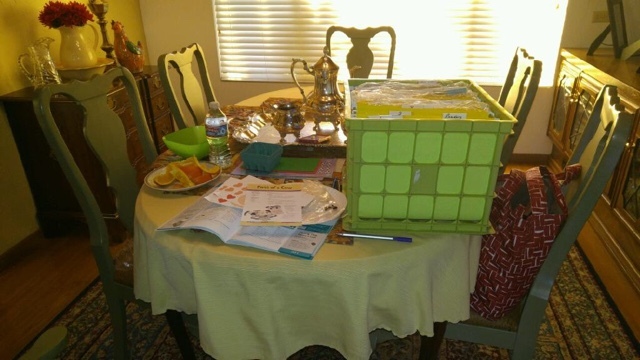 With MGT, and in my particular situation, it has been completely doable to sit down for "school," go to my file box, take out the day's activities (which come in a plastic bag), briefly read the teacher planner, and start the activities within five minutes! With two children who are able to entertain themselves while I do this, it is no problem. In a preschool it would most certainly be a problem, but not with my two little students/children. MGT writes out the lesson for you and it is detailed in such an easy to understand manner. There are times when I don't have the exact thing that I need, and in that case, I will use something else. One of my teacher partner's and I were really adept at teaching on the fly, and it is definitely being put to use now! This year as we wean from the feeding tube, and I spend lots of time writing down calories and planning where the day's calories will come from, the ease of use with MGT has been a true blessing to me. This month I wanted to try something a little different. Tiny B receives therapies through her charter school, as well as one half day of school a week, and I've been having difficulty getting to all of the curriculum in MGT. 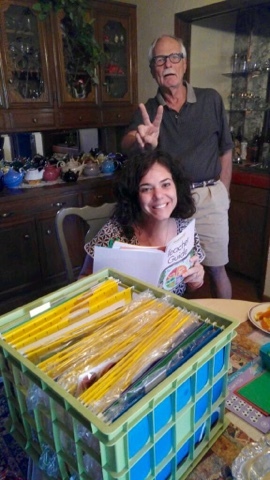 I'm sure her outside therapies will remain a challenge for us in the years coming as we do homeschool. They just take a lot of time. I wanted to put in some time ahead with the lessons to really look at the objectives and choose the activities that are necessary for her. There are some activities that can be left out because I'm not a preschool and because I'm differentiating for my kiddos. 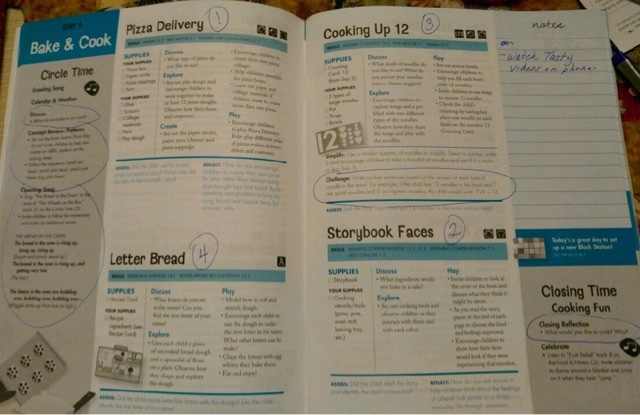 I also want to be able to fit in more of the Math and More and Literacy and More add on workbooks that I use every month. These books are a huge tool in preparing Tiny B for kindergarten next year. We will see how this works for this month and then evaluate if I'll do it again next month. I am about 99 percent sure that I will...As we get closer to kinder I really want to hone in on those skills and I want to find a way to fit in the things that are truly necessary. I did about half of the planning for the month during the Superbowl! See, it really doesn't take long at all since it is a curriculum that is really done for you! 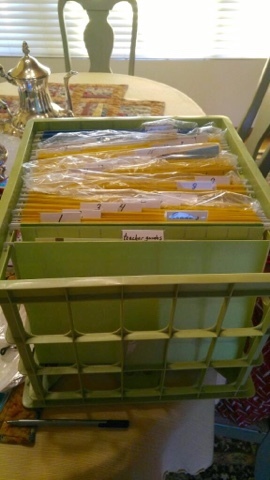 I brought my file folders and their container to my mom's house. I laid it out on the table and got to work. And then I made my hubby take another picture. This contains everything from this month. 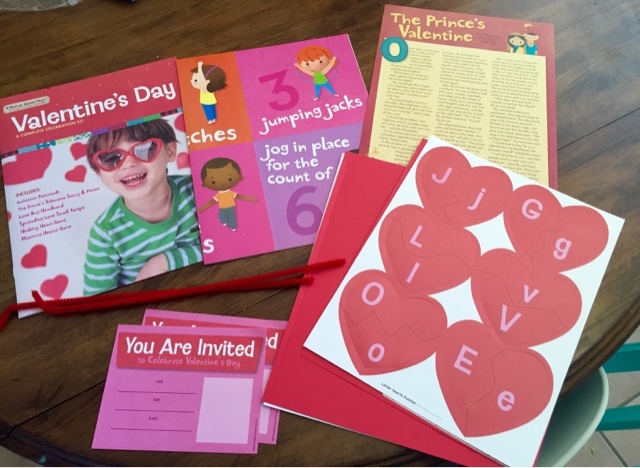 Each file is a day and I have a file for circle time activities, teacher manuals, and the month's extra activity, which is Valentine's Day this month. I usually keep each day's work in the plastic bag that it comes in. This time I took the activities out of each day's bag. I looked at the particular day and read through each lesson (There are always four main activities). I decided which activities met the objectives that I wanted her to work on. If it was too simple, I either crossed it out or wrote in my own plans to make it more of a challenge. MGT often times adds a note as to how to make the activity more challenging, and I LOVE this! On most days, we do two-four of the activities. This month will be the same, except that this time I'm looking at those activities ahead of time. 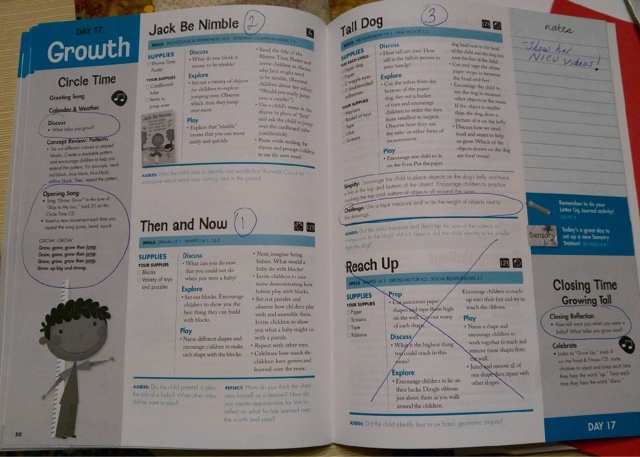 My perfect homeschool day would be to do the calendar, discuss the weather, do our opening question and song, read a book on the subject of the day, do two-four of the activities, a Math and More and Literacy and more worksheet page, and a closing question and song. 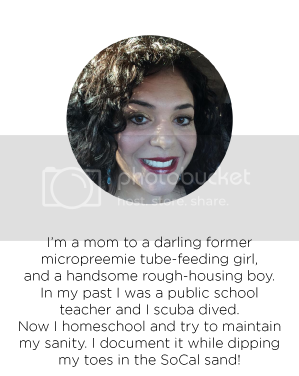 Unfortunately, with a three year-old in the mix, and everyday life, I rarely have a perfect homeschool day and it's actually done throughout the day and night with us having to revisit the same lesson the next day to finish! But that's okay at this age and stage of our lives (and I'd even go farther to say that it is exactly my plan...to go with the flow and adjust according to their needs). On the day that we learn about Growth, we are going to watch her NICU videos!!!! I'm so excited for her to see how much she's grown since she was one pound!!! 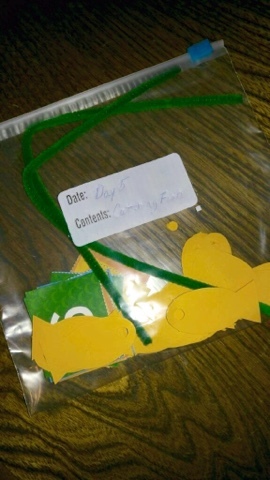 As I pulled out each lesson I prepped it for that day, which often included cutting and putting the activities in freezer bags and then always back into their file for the day. I also used my Gathering List and Planning Journal to get what I needed and take more notes. I got to see all of the activities for the month, and let's just say that it really got me excited! 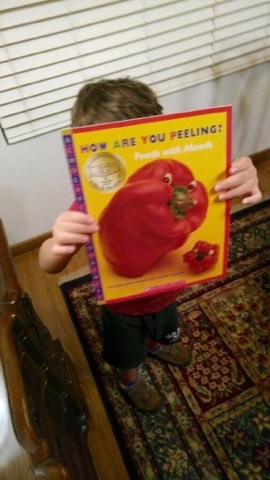 Look at this book! 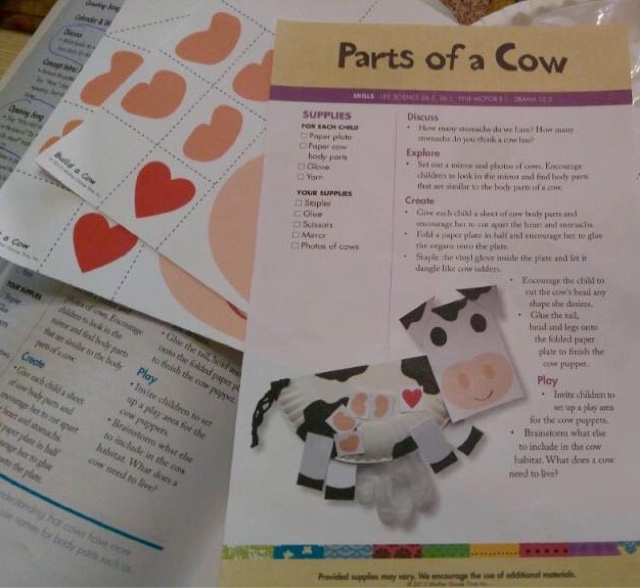 And oh my goodness, this cow art/science activity is to die for. Look at this pizza. Oh my. 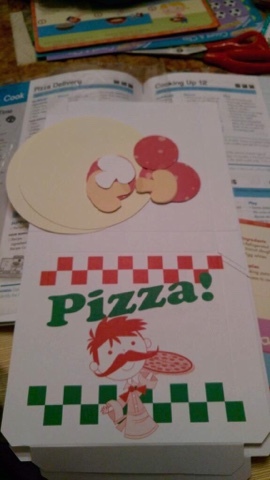 I cannot handle the cuteness of those little mushrooms and pepperonis. (I apologize for the poor quality of my pictures. We used my husband's phone to take the pictures and he texted them to me). I realized that this month is going to extend even more because I found the Valentine's Day lessons when I got home!I I love it! What fun we are going to have this month!! This month we are going to cover some very important topics, especially for Tiny B. The first two weeks are about the food groups and preparing food in the kitchen. 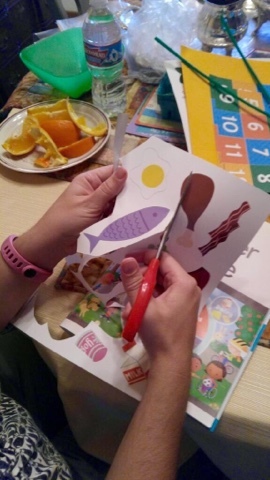 I am praying that specifically learning about these things will prompt her to want to fill up her plate with different foods (she doesn't eat much of a variety at all) and to want to cook more with me and take part in creating foods for her to eat. Strong B has more of a desire to be a chef with me at this time. 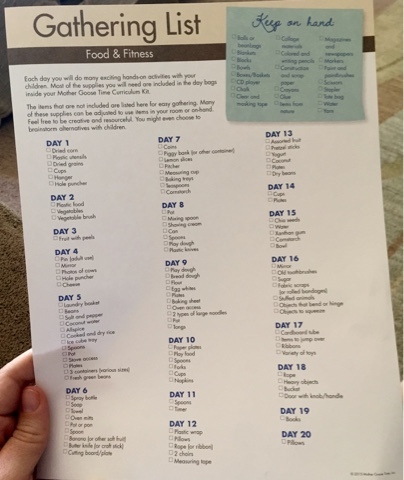 The third week is about fitness, and I'm actually going to do the fourth week in the third week, because I find it to be more important for them at this time. It's about health (check up, growth, strength, balance, and rest) and it truly encompasses what Tiny B is focusing on this year...which is taking care of herself. We always remind her that when she is eating, she is taking care of herself. 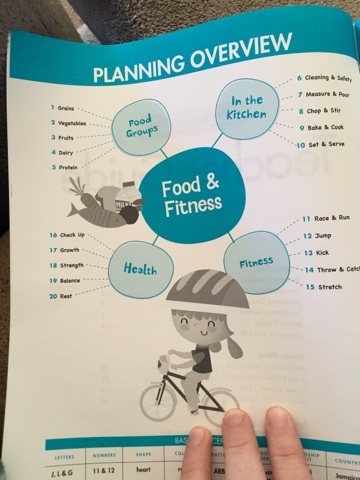 If we have time (which I suspect we won't), we will do the third week's activities which are about fitness. I posted on MGT's Facebook page that we were expanding our safari unit, and they answered that this is how they want us to use the curriculum...to make it our own. That's a huge reason why I love it so much. Often times we are using fun subject matter to teach the objectives. For example, I taught my 6th graders what a sarcophagus is, but used it as a vehicle to teach writing skills. This month, I am not only teaching the skills that go along with the subject matter, but the subject matter is something that is in and of itself as important as the skills. Food and Fitness/Taking Care of Yourself is something that Tiny B and even Strong B will carry with them for the rest of their lives.